Despite the numerous stars on show at this year’s European Championship, there are some players that will miss the Euros and will have to make do with watching from their living room sofa. Some of the reasons for their absence are: injuries, poor form, the coach does not like their faces/guts and others because their countries did not qualify. We could actually create a 23-man list each of English and Spanish players only that were not considered for selection for the competition! Here we take a look at some of these players. PEPE REINA (Napoli/Spain): The 33 year old Spaniard didn’t make Vicente Del Bosque’s provisional 25-man squad. Sergio Rico was preferred as the third goalkeeper ahead of him, with Iker Casillas and David De Gea making up the remaining goalkeeper slots. Reina is still a very good goalkeeper, making 44 appearances for Napoli in the just concluded season. He might have played his last game for the Spanish National Team after the last few misses. 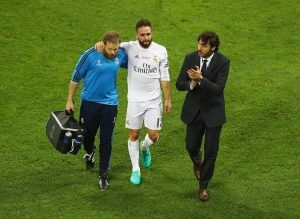 Daniel Carvajal (Real Madrid/Spain): The 24 year old fullback was named in the original list for the European championship, but an injury picked up in the UEFA Champions league final against Atletico Madrid will rule him out of the tournament. An ever present in the Madrid side that finished runners up to Barcelona in the just concluded La Liga season, He was in the initial 30-man squad to the World cup in 2014, and was unlucky to miss with the likes of Azpilicueta and Juanfran ahead of him in the pecking order. Hopefully he comes back stronger and gets on the plane to Russia in 2018. 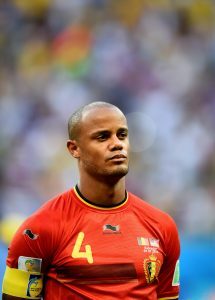 Vincent Kompany (Manchester City/Belgium): Kompany has been plagued by injuries in recent years, and he picked up a groin strain that ended his European championship chances in the eighth minute of the match against Real Madrid in the UEFA Champions league. The Belgian team will miss the leadership of their able captain, but they will hope to rally round to cover his absence. Phil Jagielka (Everton/England): Roy Hodgson opted to take three centre defenders in Chris Smalling, Gary Cahill and John Stones, with Eric Dier who can also play there, and left Jagielka at home. Will the inexperience of Stones and Dier show, and his decision to drop Jagielka come back to haunt him? Leighton Baines (Everton/England): Ryan Bertrand and Danny Rose were preferred to Baines in the left back role for England. Baines and the whole Everton team did not do so well in the just concluded premier league season, with the team finishing a lowly 11th and even cost their manager his job. But England could have used his experience in this tournament. Hopefully, Rose and Bertrand will justify their place. Ilkay Gundogan (Borussia Dortmund/Germany): He did well to come back from a serious injury and has done well for Dortmund this season. It was expected that he would be named in the German squad for this year’s Euros, but he suffered a Patella dislocation in May which ruled him out of the tournament. Hopefully, he will leave all these injuries behind in Germany and enjoy a new lease of life at Manchester City. Marco Reus (Borussia Dortmund/Germany): Originally included in Joachim Low’s provisional list, Marco Reus was finally dropped from the final 23-man list due to concerns over his fitness and will miss the Euros. Unplayable on his day, Reus has been plagued by injuries in the past, and the national team coach said “Marco has serious health problems. At the moment, he can only run in a straight line. The doctors are sceptical that he will be fully fit in the coming weeks”. Come back stronger Marco. Alan Dzagoev (CSKA Moscow/Russia): A broken foot sustained in CSKA’s last game of the season, which clinched the Russian premier league title for them, has ruled him out of contention for the showpiece in France. Initially named in Russia’s 23-man squad for the tournament, but has since been replaced by Dmitri Torbinski of FC Krasnodar. At just 25 years of age, he has been a mainstay in the Russian National team since making his debut as an 18 year old in 2008 against Germany. Euro 2012 joint top-scorer (with Cristiano Ronaldo, Fernando Torres, Mario Gómez, Mario Balotelli, and Mario Mandžukić), he will be missed in France. Danny Welbeck (Arsenal/England): England’s highest goal scorer during qualifying for this tournament with 6 goals, Welbeck would have been guaranteed a spot in Roy Hodgson’s squad. That was not to be the case though, as a knee injury in the Gunners game against Manchester City ruled him out of contention. He has since had an operation on the injured knee, and he will be out for 9 months. His versatility has always been a plus for Hodgson, and how much that will be missed in the team remains to be seen. Fernando Torres (Atletico Madrid/Spain): Scored in the final against Germany in Euro 2008 to help Spain win their first major competition since 1964. His performances have been stop start since he left Liverpool, but he has been rejuvenated under Diego Simeone at Atletico Madrid this season. He is Atletico’s second highest goal scorer this season with 12 goals, just behind Antoine Griezmann. 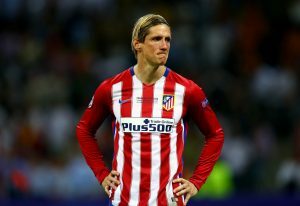 Will Del Bosque’s decision to omit experienced strikers in Fernando Torres and Diego Costa be his team’s undoing? We wait. Kevin Gameiro (Sevilla/France): With 28 goals in 51 appearances for Sevilla this season, Gameiro would have made most Euro 2016 squads. Not Didier Deschamps squad though. Although he is on the standby list, bar any extraordinary circumstances or injuries, he would be watching from his living room sofa. Or he can come to the stadium since he is from France. He was very influential in Sevilla’s run to be Europa League champions, and even scored as they defeated Liverpool in the finals. 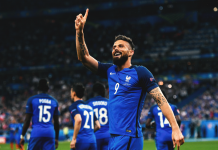 Andre-Pierre Gignac who plays for Tigres in Mexico has been preferred to him, and we hope Olivier Giroud brought his scoring boots with him to France.